Compass Mark offers numerous school-based prevention programs that serve kindergarten through 12th grade students in our community. Now, thanks to the hard work of Public Relations majors at Millersville University, we’re one step closer to serving more students at the college level. The college years can be a particularly vulnerable time. In fact, studies have identified this as one of the riskiest periods in a young person’s life. Many students live away from their parents for the first time and not only have a desire to fit in at a new place, but are provided more opportunities to experiment with drugs and/or alcohol. Recognizing that college students are at unique risk for addiction, a group of Public Relations majors chose to work with Compass Mark on their Action and Awareness Campaign as part of their capstone course at Millersville University. “We created and distributed a survey online and in person to assess students’ current knowledge about the resources available to them on campus, whether or not they feel there is a need for these types of resources, and if they consider themselves at risk,” said Sara Nicoletti, one of the group members. Based on the survey results, which showed that college students could benefit from addiction prevention resources, the group put together a plan for a social norms campaign that would correct students’ misperceptions that “everyone parties,” which gives an unspoken social permission not to drink or use drugs. The campaign also promoted Student Skills for Life, one of Compass Mark’s signature programs that could be held on campus, and encouraged students to participate. Students Skills for Life provides education and support for youth experimenting with alcohol or other drugs. It helps students identify why they might be using, how to make choices that align with their personal values, and dispels commonly held myths about substances. The goal is to help students improve communication skills, build personal resiliency, and set achievable goals. The program is proven to help reduce or eliminate substance use and reduce the incidents of driving under the influence. Nicoletti says she was proud to be part of this campaign and help Compass Mark identify a needed service on her campus. 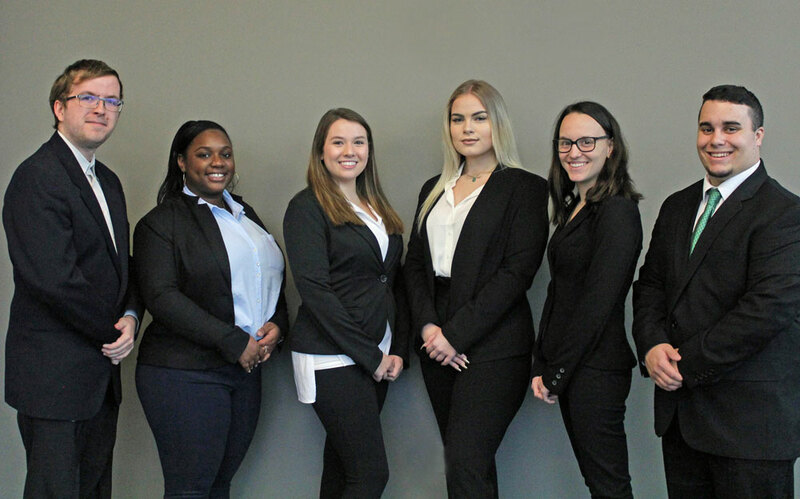 With help from Matthew Weaver, Compass Mark’s Prevention Coordinator, these students laid the groundwork for implementing Students Skills for Life at Millersville and other campuses in the future. We look forward to building upon the work of these students, and thank them for their partnership!